While many of us may now tell time with the aid of the smartphones that are practically attached to our palms, there's something undeniably sophisticated about actually wearing a watch—especially in the age of the iPhone. 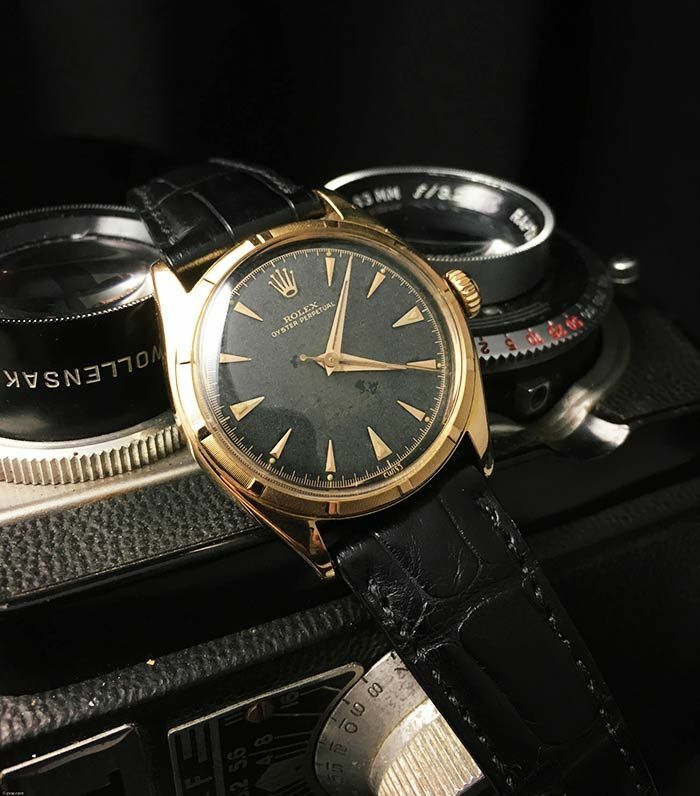 As a teen, I harbored an obsession with one day owning a vintage Rolex (just like Mary-Kate Olsen, natch) and scoured eBay for an affordable-ish chunky gold version that seemed even slightly authentic. Needless to say, I came up empty-handed, soon settling on a much more reasonable Marc by Marc Jacobs style. Still, I always admire women who accessorize with leather-banded or weighty metal watches—and vintage styles still hold their appeal. Plus, in the 12-odd years since my Rolex hunt, far more resources have appeared for finding classic timepieces online. Below, shop four of the best websites to shop vintage watches at every price point (though, of course, the fanciest name brands are still usually going to set you back at least four figures). It's right there in the name, but Kansas City–based Cool Vintage Watches is a treasure trove of a century's worth of horology. Depending on your style and budget, browse categories like Classic Styles, Military and Chronograph, Under $350, and Very Cool (the latter being the obvious first choice). Don't see a particular style you're looking for? Email owner John Putnam, and he might be able to help you track it down. Think of Crown & Caliber as The RealReal of watch consignment. Every style is thoroughly vetted for authenticity, meticulously photographed, and documented down to the last detail—all to give you a little peace of mind when you're dropping a few grand on, say, a Cartier Tank watch with a crocodile strap. Hodinkee, the internet's most obsessive watch website, started selling vintage styles on a consignment basis last year and has already amassed an impressive array of hard-to-find timepieces, along with bands, tools, and accessories. While you're there, check out the site's guide to buying watches on eBay for some useful pro tips. Next, see 10 ways to style a silk scarf like a fashion girl.